This beautiful Laguna Agate pair features white and light amethyst fortification banding throughout. 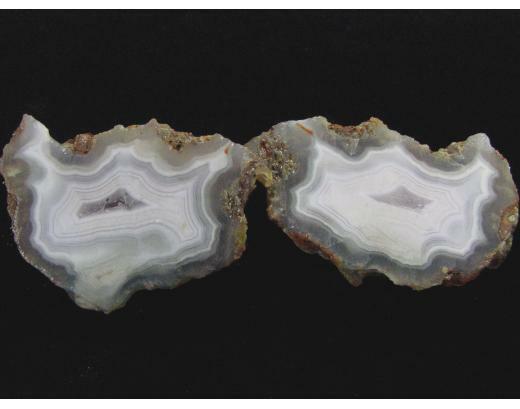 Measurements for the entire nodule are 40x60x37 mm. Photographed wet.